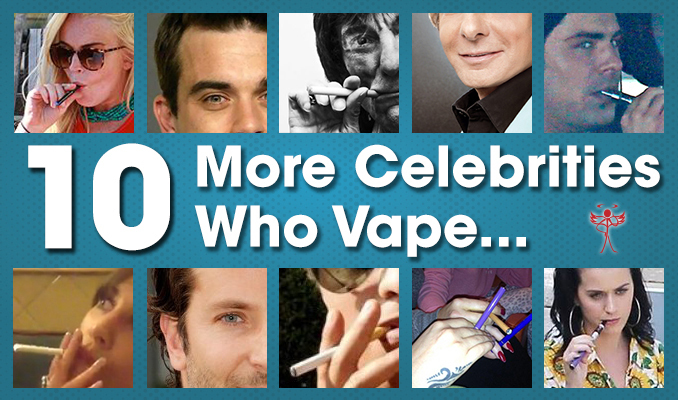 After the success of our last blog post on famous people who use ecigarettes, we decided to follow this up with an updated version and show you 10 more smart celebs who have switched to ecigarettes. The celebrity who recently celebrated her 28th birthday was spotted relaxing in the sun, brushing up on movie scripts and puffing on an ecigarette! – one way to pass the time when you’re under house arrest. After his mother passed away from a brain aneurysm last year, Bruno made sure to uphold the promise he made to her to quit smoking by switching to electronic cigarettes. Beer in one hand, e-cigarette in the other; Katy Perry was spotted relaxing with her friends and vaping away. Unlike most other celebrities who tend to use cigalikes, Katy Perry uses a refillable e-cigarette to satisfy her cravings. 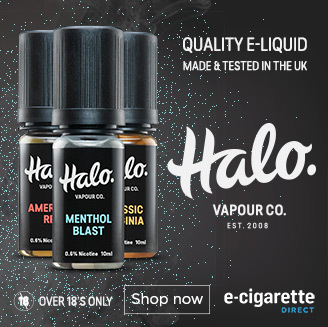 Maybe her brightly coloured outfit says something about her preference to try a range of e-liquid flavours! 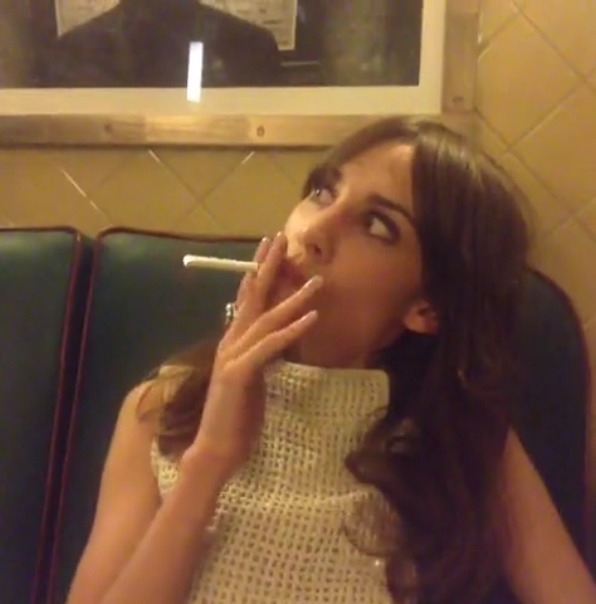 Presenter and model, Alexa Chung has also been photographed using an e-cigarette! Although being voted as having the worst tattoo in our recent poll, Cheryl Cole has made a good decision by switching to ecigarettes. The picture above was tweeted by Cheryl showing her and her former band members from Girls Aloud relaxing with some colourful ecigarettes. 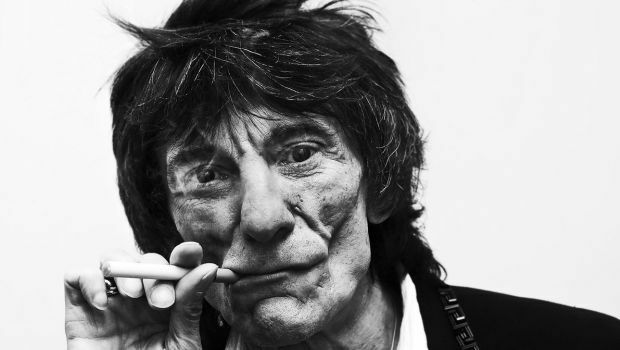 This member of the Rolling Stones is not rolling smokes any more! He has been spotted using an ecigarette to satisfy his nicotine cravings instead. Despite being in rehab twice this year for drug related habits, it appears Zac has made a better decision to switch to electronic cigarettes. He was recently spotted using a refillable ecigarette, with what looks like a variable voltage battery, whilst driving around L.A with his friends. At the Oscar’s 2013, Zoe Kravitz educated Bradley on the benefits of e-cigarettes and has since been spotted using one. Let’s hope he’s fully kicked the tobacco cigarette habit with them! It’s rumoured that even Robbie Williams, the British singer-songwriter, has tried using e-cigarettes. Take that traditional cigarettes! – excuse the pun. Can you think of any more? If so, let us know in the comments below!